Plugged ear is a problem which any person can face at any age. is an ailment which can be acquired . Normally this is a trivial problem which can be solved by taking care of it at the first go. There are many ear drops available in the market to treat this problem. However, home remedies are better compared to the artificial medications. Home remedies are simple and safe methods to tackle any kind of physical ailment. Below, I will list down a few tested and effective home remedies for plugged ears. This is a very simple process in which you need to block both your nostrils with your fingers and blow out the air through the ears.This may help the blocked ear tube to open up and give you instant relief. This is a very common process adopted by everyone to cure mild problem of plugged ear. 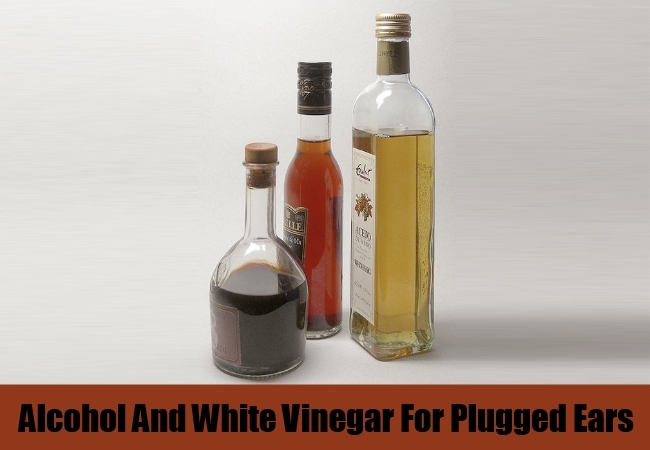 This is an effective and tested solution for taking care of plugged ear. You just need to mix alcohol and white vinegar in equal amounts and use it as an ear drop. Pour almost about 4 to 5 drops of the solution into the ear so that it is half full. Keep the head tilted in such a position that the solution is in the ear for about 5 to 10 minutes. Next straighten your head and let the extra liquid flow out. Do this procedure twice a day for visible improvement. You will get rid of the problem within a day. On a precautionary note, this method should not be adopted for the kids. However, this method is pretty safe for the adults. Sip a mouthful of water and hold your nose blocked with your fingers.You may also take help of any other person for holding your nose closed. Now, along with the closed nose, swallow the water at one go. This will push the air out through the ears tubes making them unplugged. You need to peel 1 clove of garlic and thrash it a bit. Later take 1 tablespoon of olive oil and warm it with the thrashed clove in it. Steep for 20 to 30 seconds and then pour a few drops of the warm oil into the ear. 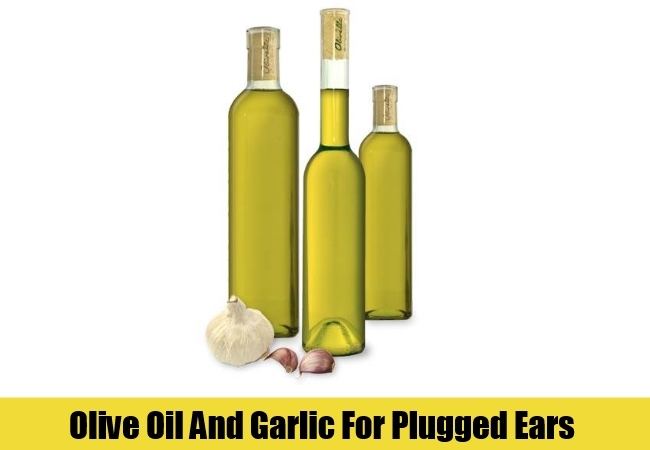 Make sure that all the garlic pieces are removed from the oil before using it.Now keep your heal tilted so that the oil stays in the ear for approximately 1 minute. Later you may drain out the oil. You will be able to feel the relief instantly. Do this three times a day to get relief from the plugged ears. This is one of the oldest trick to get rid of the plugged ear. You just need to take a clean cotton cloth and dip it in hot boiling water for some time. Squeeze out the extra water and use it as a hot compress.Place the cloth on the affected ear and keep it for 5 minutes. Do it a couple of times and you will feel the effect instantly. You need to do this twice a day for few days for complete recovery.